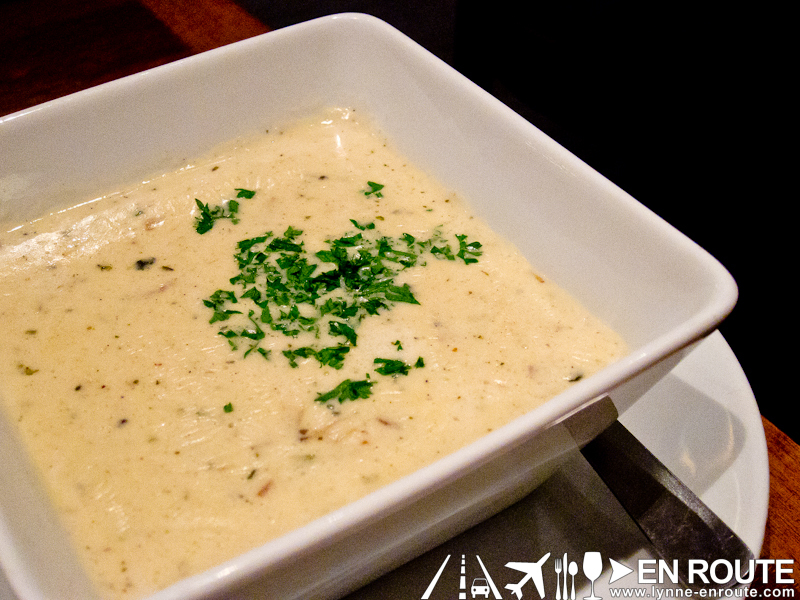 “There is no sincerer love than the love of food.” Says George Bernard Shaw. 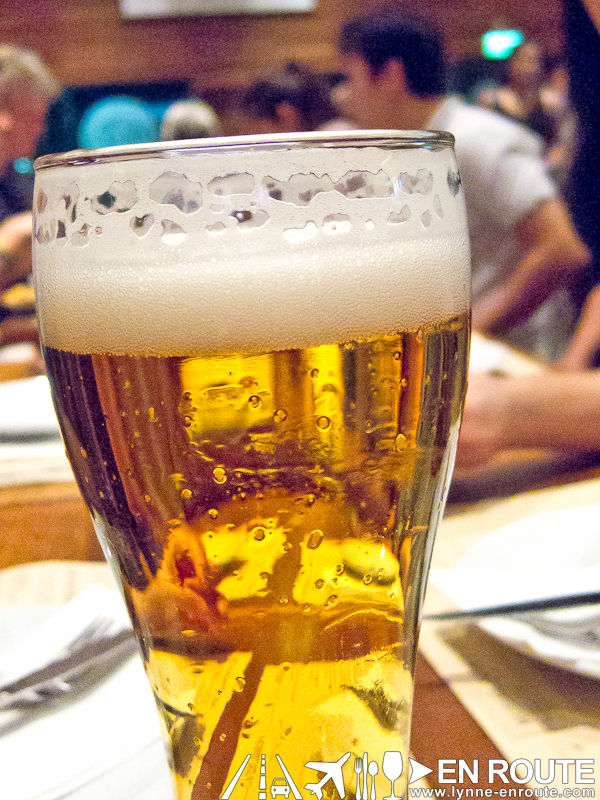 Now, beer is sometimes considered food in some regions and by beer fanatics all around the world. 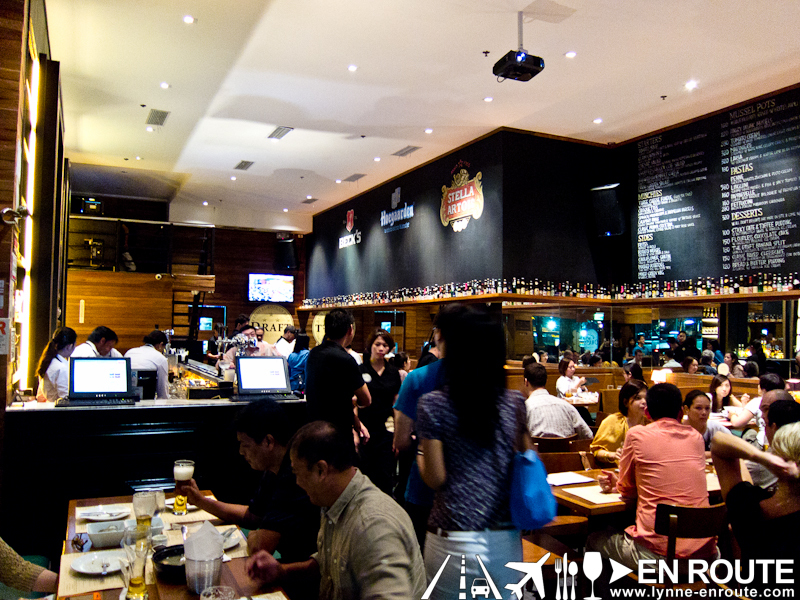 And what better way to merge both loves than by creating a gastropub, like Draft Gastropub in Fort Bonifacio. It does feel like the man’s place, with the black walls, dark wooden accents and larger than life bar mirrors. But it is a great place to also bring the family for good food. Have a seat in the bar or one of the many set chairs and tables. Glance at your placemat and you will see the food selection. 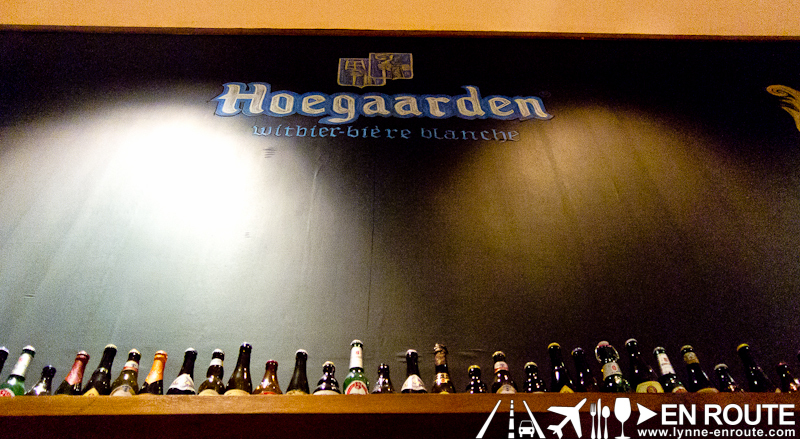 Then look up at the walls of the place and you will see all the beers lined up, tempting you to have a bottle or two with your order. So where to begin in this gastronomically charged pairing journey? 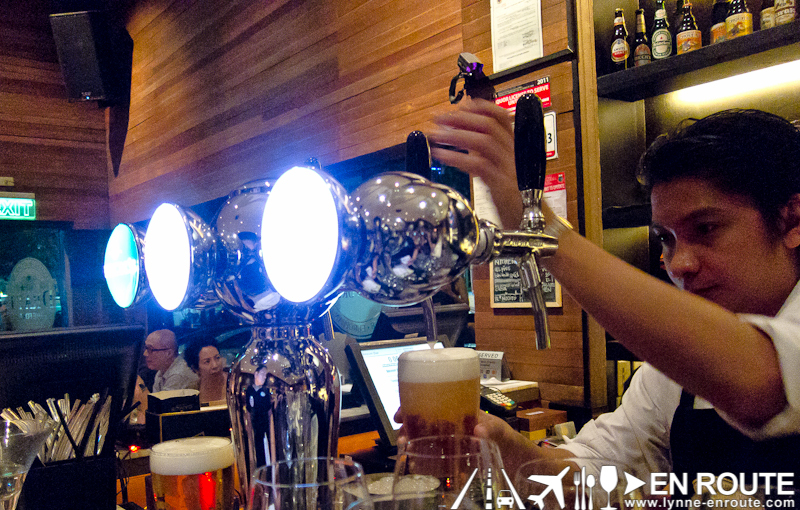 There is a separate menu for the beers that they carry. 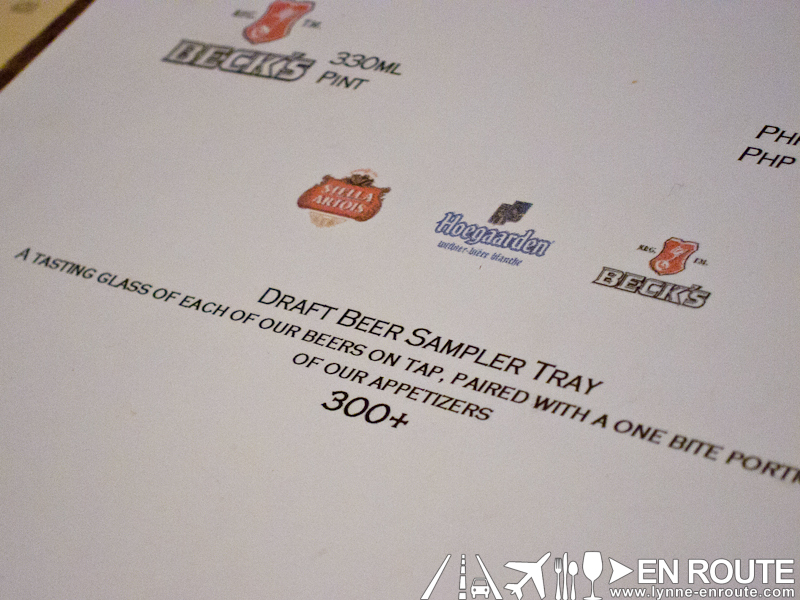 Just get from one to pair with your food, or take a look into their Draft Beer Sampler Tray (PHP 300.00 as of the visit last year). 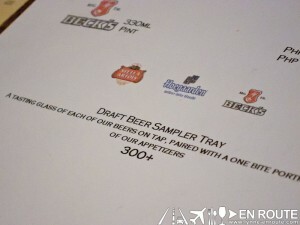 The Draft Beer Sampler Tray comes with tasting glasses of their three beers on tap (or draft if you prefer to call it as such) and a bite of three of their appetizers. 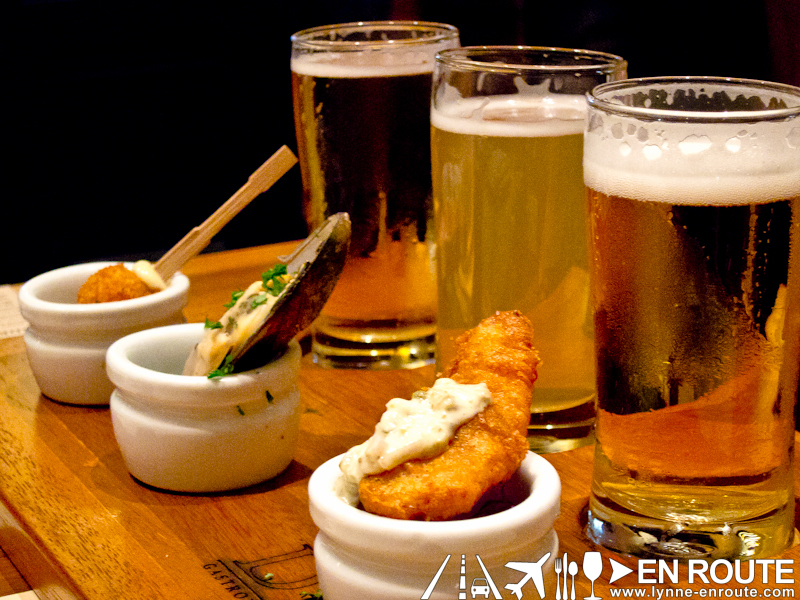 During this visit, the three beers on tap were Stella Artois, Hoegaarden, and Becks, accompanied by croquettes, fish and chips, and baked mussel. 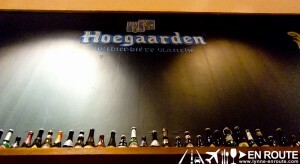 En Route have been fans of Hoegaarden ever since, with its slight fruity/wheaty taste , hint of bananas and clean finish. The Fish and Chips here are worth getting. 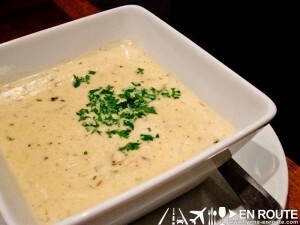 The items are on the pricey side, but the servings are good for two to three persons. 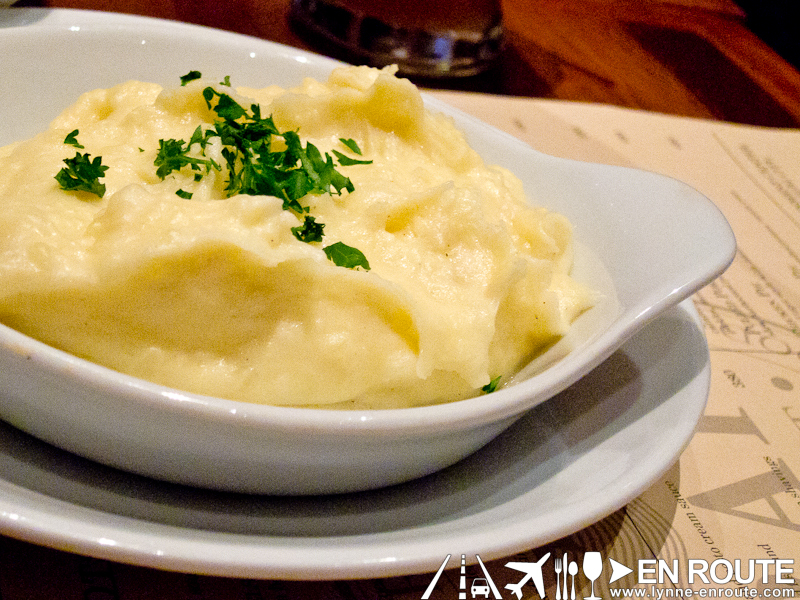 Oh, and remember, you are not here to gorge on food without savoring the flavors. 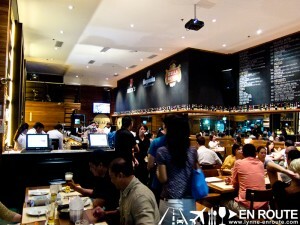 It is a gastropub. Let the taste linger in your mouth and pace yourself after each and every bite. 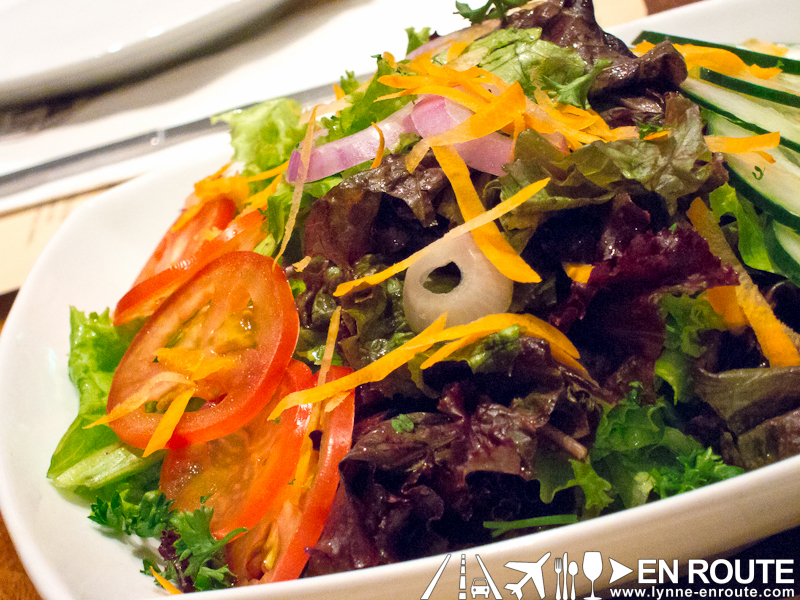 To make it easy, start off with some garden salad (PHP180.00), a bit of their chowder soup (PHP220.00), and mashed potatoes (PHP 150.00). From here, go whatever direction you wish. Wish for something light? 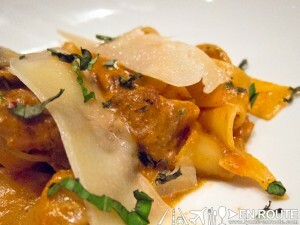 Get a Pappardelle pasta (PHP 390.00). While light, it still packs a good meaty bolognese taste complemented by parmesan shavings. 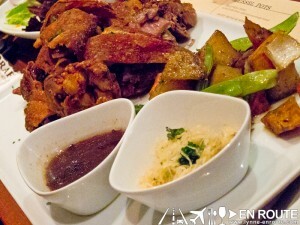 For heavy eaters, the crispy pork knuckle (PHP 620.00) will be a challenge. Either way, go at this as a group. 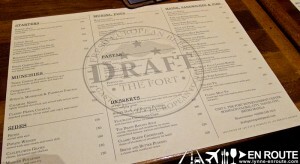 Draft Gastropub also has some sandwiches. 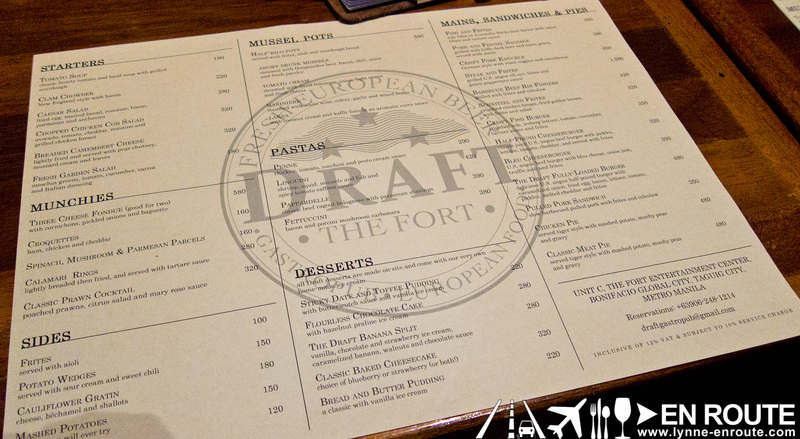 Worth noting here are their burgers (Starts at PHP 320.00) There is a crispy fish burger, there is the half pound burger, there is a bleu cheese burger, and there is also the fully loaded burger. Pictured above the half-pound one (PHP 320.00). Looks like a sloppy joe, feels like one when you eat it. All that meat sauce goodness oozing out. Do you demand more meat? 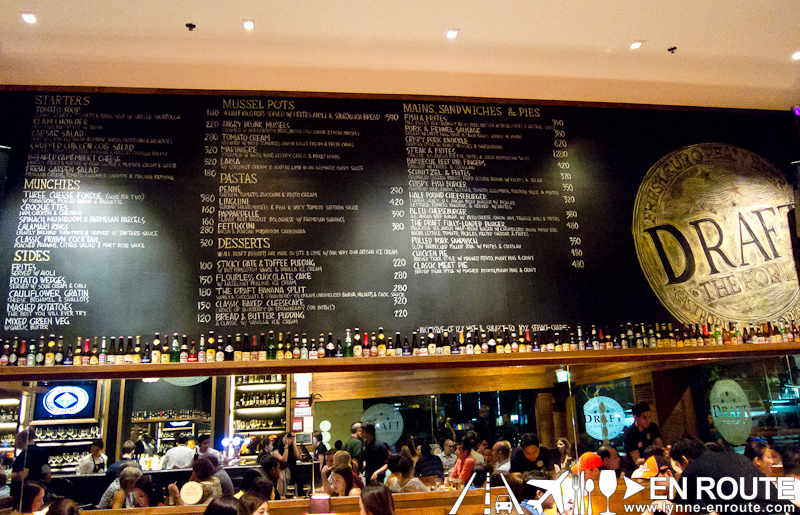 Get the Steak and Frites (PHP 1,280.00). 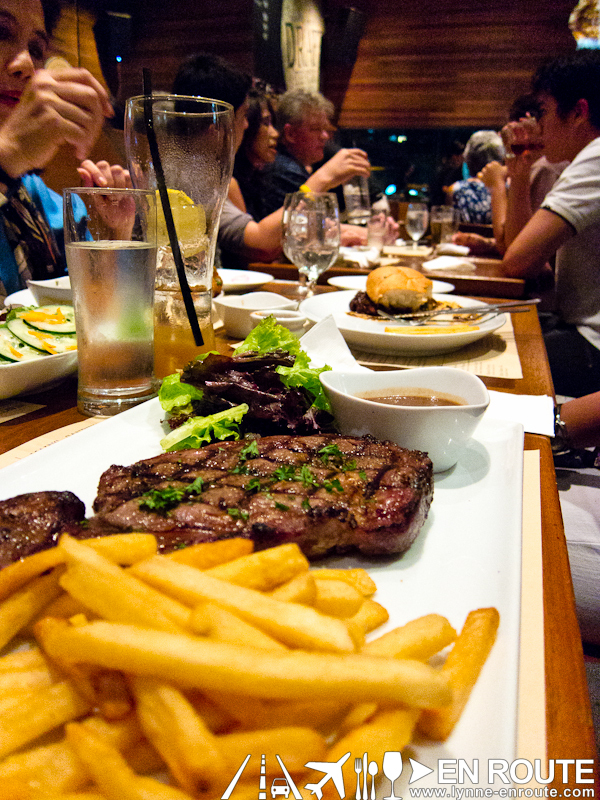 Grilled U.S. ribeye cooked to your doneness, with a side of fries and peppercorn sauce. This was a gastronomic road full of twists and turns thanks to an unbelievable set of permutations with food and beer pairing. 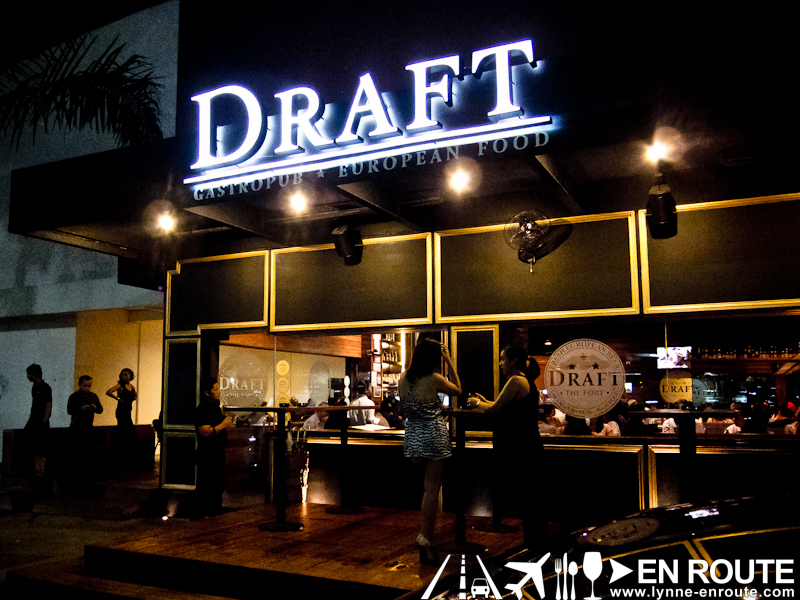 Every visit to Draft Gastropub is a well trodded journey. My bosses back at work LOVE going to this place. They invited me once but silly ol’ me said no because the thought of liquor scared me when it was still a Monday that time. Haha! Next time, I’d definitely say yes. Well, we don’t really pick what day of the week to drink. There are rare occasions when we realize we have really early meetings the next day…although sometimes we still push it. Hehe. A little actually won’t hurt. 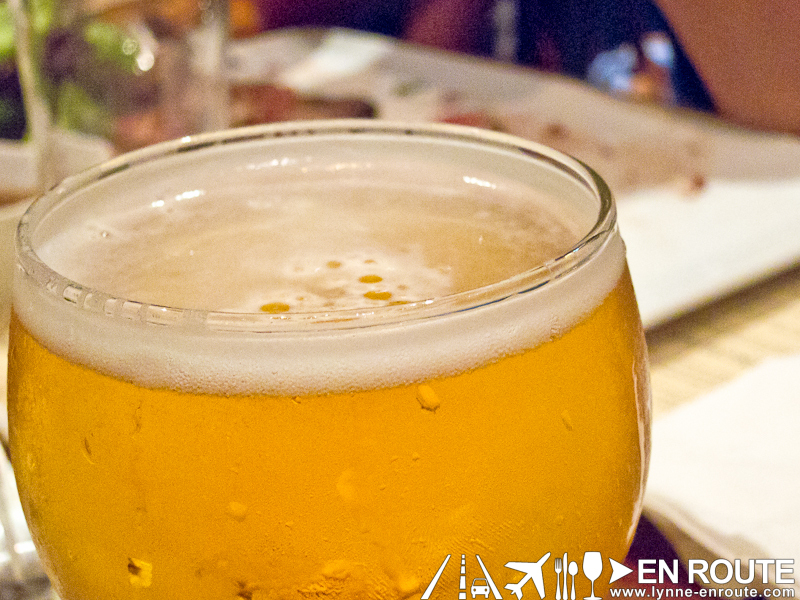 We taste for the flavors of the drinks also, not necessarily the alcohol content.